Having grown up in the Margaret Drive area, there is this sense of loss now that the most well known icon of the area is gone. I am referring to the hawker centre. 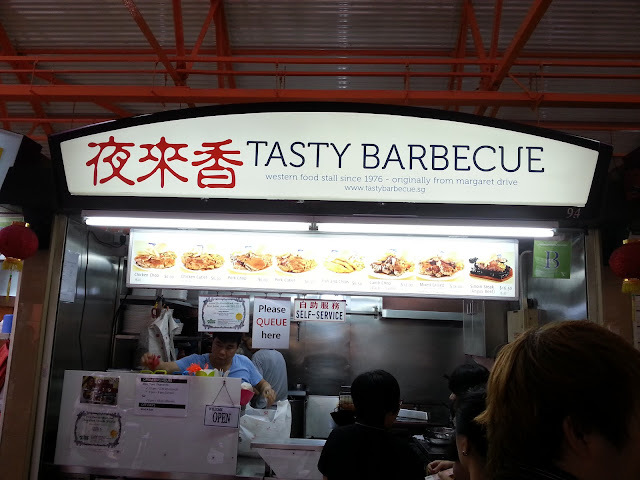 Most of the more well known stalls have relocated like Hai Kee Char Kway Teow to Telok Blangah, the popiah to Jurong and the western food to Maxwell. I didn't realise that the latter has moved to Maxwell until i saw the makan places lost and found! So I roped in a colleague and instead of our usual Teochew porridge, we ordered a chicken chop and a pork chop. I don't remember how it tasted like previously. Fact is I have not eaten at this stall for more than 10 years so I can't say whether the standard has gone up or gone down. Certainly the portion is fairly big for $6.00 per plate. 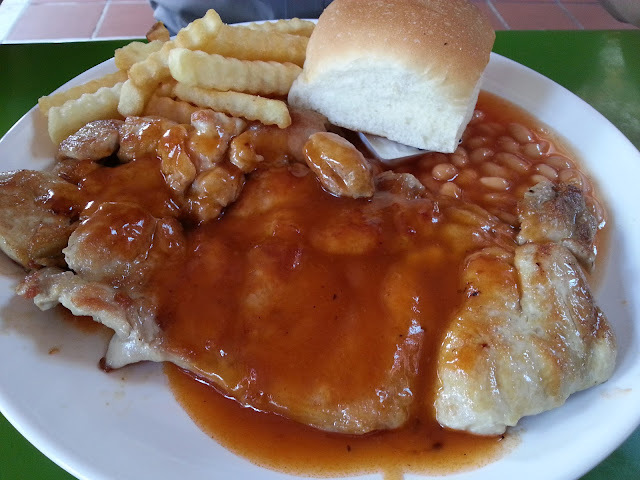 It comes with 2 pieces of meat, a generous side of French Fries, baked bean and a bread. 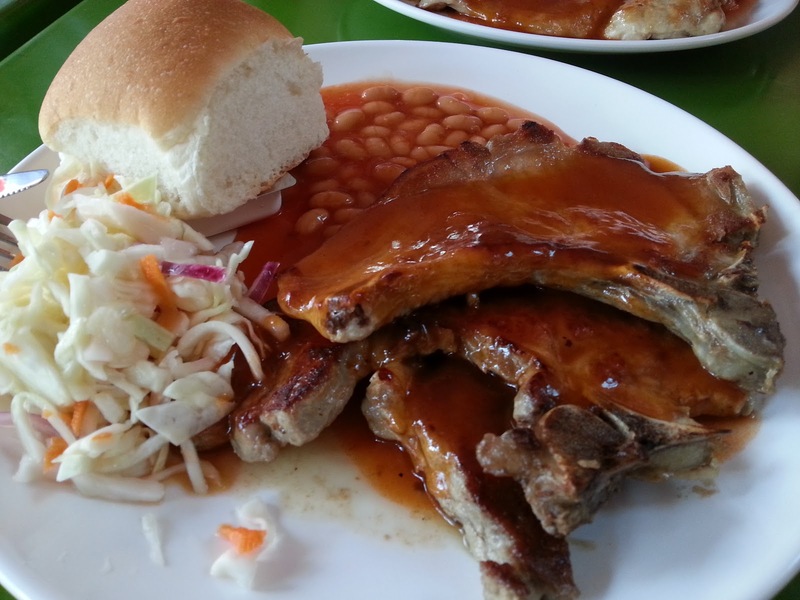 The meat is rather well marinated but unfortunately the sauce was a bit weak. To make it worse, the tomato sauce and the meat sauce got all mixed up resulting in a funny sweet and tangy favour. They even dump the butter on the plate and the tomato sauce got all over it making it really yucky to open. But overall, this is the way this type of western food is served in most hawker stall so I can't really complain. And seriously for between $6.00 to $6.50 per dish without GST, this is really value for money.